Every once in a while, we come across a unique home design or regional fun fact that makes us take pause and dig a little deeper. It isn’t often, though, that we happen upon a place like Florida’s Lake Nona. Awe-inspiring. Groundbreaking. Ambitious. There are an almost endless array of adjectives that could be used to describe the lake community. But why not just let the facts do the talking? Located within Orlando city limits, Lake Nona is a 10,800-acre, master-designed community. Its raison d’etre is sustainable design, healthier lifestyles and an overall higher standard of living. The community became the first Iconic Cisco Smart + Connected Community in America in 2012. Major cultural hubs like London, Moscow and Barcelona also carry the distinction. Lake Nona is also the first community in Florida to integrate gigabit fiber technology. Thanks to Dais, the development’s on-site technology company, residents can enjoy internet speeds that are 200 times faster than the average U.S. connection. The technology is for more than just surfing the web and streaming videos, though. It allows for superior cellular coverage and provides Lake Nona’s Medical City the technological foundation it needs to run efficiently. But the community has more to offer than just fancy tech. Forty percent of the 17-square-mile development is preserved green space, in keeping with Lake Nona’s theme of conservation and sustainable living. That means a garden, playground, park or pool on every corner. And they can all be reached via the 44-mile web of walking and biking trails that connect the entire community. Don’t own a bike? Not a problem. The many grab-and-go free bike rental stations are another perk of a community that encourages active lifestyles. There’s also the Sports and Performance district. Lake Nona not only pushes the envelope on what we know about sports science, but also advances athletic and personal performance with the help of professional athletes, researchers and trainers. The community is actually the United States Tennis Association’s new Home of American Tennis. Located in Lake Nona, the USTA’s National Campus houses 100 tennis courts, two separate divisions and the University of Central Florida’s tennis teams. That makes it the largest tennis facility in the country. And the “wow” factors don’t stop there. It’s hard to imagine how this futuristic suburb of Orlando fits so many things into 17 square miles. From multiple neighborhoods and state-of-the-art event venues to intensive hubs of research and technology, the amenities seem never-ending. The Lake Nona Medical City is a 650-acre health and life sciences park and is Orlando’s premier location for research, education and medical care. The initial theory was placing healthcare and life science facilities in close proximity to each other will help accelerate innovation. Over the years that theory would prove to be spot on. Lake Nona is now home to some of America’s leading research institutions, hospitals and universities. The Medical City includes world-class facilities like the University of Central Florida’s Colleges of Nursing and Dental Medicine. 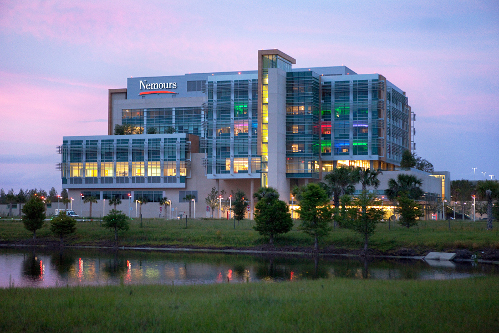 Nemours Children’s Hospital, Samford-Burnham Medical Research Institute and the University of Florida Academic and Research Center are also included in the hub. And the Orlando Veteran’s Administration Medical Center is the first VA hospital built in the U.S. in more than 20 years. This cluster of medical facilities and research institutions also plays a part in other community-wide educational projects. The Lake Nona Education Initiative provides extensive learning opportunities at every level of education. Dubbed the Collaborative Learning Environment (CLE), this strategy was implemented by the Lake Nona Institute, a non-profit dedicated to health and wellness, education and sustainability. All these ambitious projects bundled up into one city seems almost too good to be true. 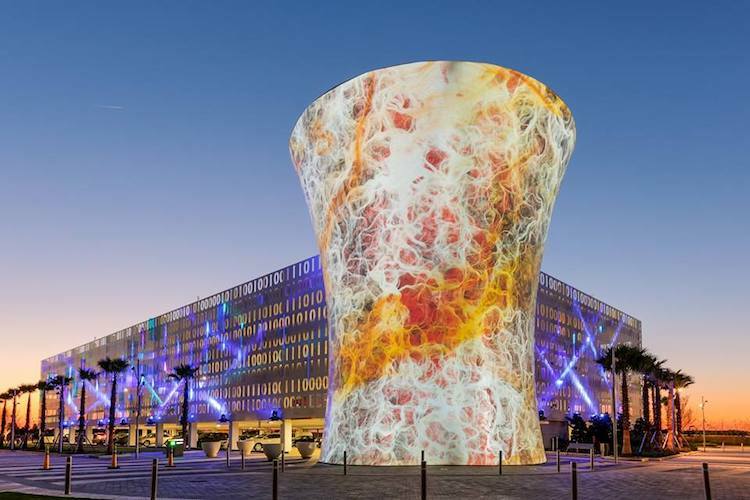 Coupled with the community’s thriving arts and culture scene and its location in one of the most popular cities in the world, Lake Nona is a spectacular place to settle down. And that’s not just our opinion. While the development only makes up 10 percent of Orlando’s surface area, it accounted for 18 percent of the city’s growth between 2014 and 2016. It’s one of the fastest growing master-planned communities in the nation. Beyond being just a great place to live, the community is a shining example of human potential. Lake Nona is unlike any lake community we’ve ever seen. And while it may be the first of its kind in America, we have a feeling it isn’t the last. 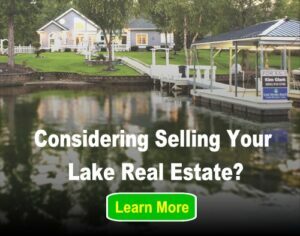 To check out homes and details about the Lake Nona community, click here.